A number of companies have emerged to dramatically change the consumer-facing side of the real estate industry. Such companies include Trulia, Zillow, Rent.com, and HomeAway. These companies, first launched in the early 2000s, work to provide easier and more convenient access to apartment and home information. Although the residential side of the real estate industry may have been the first to experience the transformative power of tech, the business-to-business side is now benefitting from the emergence of platforms such as CoStar. These companies are incredibly user-friendly and rich with features, serving to level the playing field in the commercial real estate industry by providing online access to a wealth of information. Today, the real estate industry has emerged into what could be viewed as the next wave of innovation. The first wave focused on delivering real estate data online, whereas today, startups are focused on providing real estate professionals with the software platforms they need to leverage that data and operate their businesses in a more efficient and effective manner. Agents who previously relied on manual methods and spreadsheets are now able to take advantage of the ability to access information in real time via cloud-based databases. As a result, real estate professionals are able to collaborate with greater convenience and efficiency. Furthermore, workflow automation software assists agents in becoming even more efficient by eliminating repetitive tasks. One area in particular where the real estate industry is seeing a tremendous improvement in efficiency is in the delivery of CRM. In the past, most firms had little choice but to rely on pen and paper, along with outdated software, for the management of vacancies. Today, startups are leveraging the latest technology, including the use of cloud-hosted databases, to assist real estate professionals in managing customer relationships and workflows in a more streamlined manner. Due to the value of such assets, the ability to reduce vacancy timelines thanks to enhanced information and data flow is benefitting the industry tremendously. Multifamily is one sector in particular that has a lot to gain from the introduction of the latest tech tools. Since tenants tend to move in and out of units on a more regular basis than in residential and commercial real estate assets, property managers and landlords often experience a number of challenges. In fact, profit margins typically rely heavily on the ability to drive high occupancy rates. The latest software helps real estate professionals overcome this challenge by providing greater transparency into portfolio performance, while also bolstering lease and marketing management functionality. 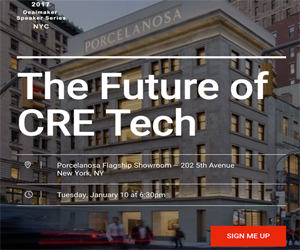 Newer PostWhat Impact Is Crowdfunding Having on the CRE Industry?